Georg Milbradt is Chairman of the board of the Forum of Federations. Recently he has been appointed as Vice-President of the independent advisory Committee of the German Stability Council. His political career includes being Minister-President of the Federal Free State of Saxony and chair of Saxony’s Christian Democratic Union. He has been a member of the GermanBundesrat as well as the Parliament of Saxony. Among other functions, he has held posts such as Minister of Finance for the State of Saxony, treasurer of the City of Münster and was a member of the German Parliament’s Conciliation Committee. Prof. Milbradt maintains an association with the faculty of economics at the University of Münster, where he earned degrees in politics and economics. Salma Siddiqui is Vice Chair of the board of Forum of Federations. She is an Ottawa based entrepreneur and community activist. In addition to owning a corporate travel agency and a real estate development business, Ms. Siddiqui has been active in the NGO community across Canada. She is currently Chair of the Coalition of Progressive Canadian Muslim Organizations, sits on the RCMP/CSIS Muslim Advisory Committee, and is a member of the Canadian Ethnocultural Council. In 2013, the Government of Canada honoured her with the Queen’s Diamond Jubilee Medal. In 2011, Ottawa Life Magazine places her on the list of 50 Most Influential People in the capital. Ms. Siddiqui is also the 2006 recipient of the Women of Distinction for Entrepreneurial Community Giving Award, given out by YWCA Canada. Hans Altherr is a lawyer, entrepreneur, and former member of the Swiss Senate, with extensive experience in local, cantonal, and national governance. Mr. Altherr acted as Senate Speaker in 2011-2012, and during his role as a member of the Senate served on the Finance Committee and the Committee For Social Security, among others. He is President of the Board of the University of Applied Sciences of St Gallen and owner of a diamond and CBN tool manufacturing company. Mr. Altherr has also held a number of prominent positions in local and regional government throughout his career, including serving as the mayor of the Trogen, Chairman of the Conference of Cantons of Eastern Switzerland, and Member and President of the Government of Appenzell Outer Rhodes. Andreas Eshete is Advisor to the Prime Minister of the Federal Democratic Republic of Ethiopia with the rank of minister and CEO of the Tana High-­Level Forum on Security in Africa. Dr. Eshete was President of Addis Ababa University until March 2011.He is a Professor of Law and Philosophy, UNESCO Chair for Human Rights, Peace and Democracy at Addis Ababa University. Throughout his career, Dr. Eshete has taught at a number of American universities, among them: Brown, UCLA, UC-Berkeley and Penn. Ramón Galindo was elected in 2006 to a six-year term as Senator of the Republic of Mexico where he was the President of the Senate Committee on Municipal Development and a Member of the Committee on State Reform. He was a Federal House Representative in the National Congress from 2003-2006, Mayor of the City of Juárez from 1995-1998, president of the Mexican Association of Municipalities in 1996, Director of Social Development for the City of Juárez from 1992-1995, and a House Representative in the State Congress of Chihuahua from 1989-1992. Julius Ihonvbere is currently the Secretary to the Government of Edo State, Nigeria. He was previously Special Advisor to the Nigerian President on Program and Policy Monitoring. He has worked for a number of international organizations, including the International League of Human Rights and the Ford Foundation. Dr. Ihonvbere started his professional career at his alma mater, the University of Ife as an assistant lecturer in International Relations. In 1993, he moved to the United States of America, where he was an Associate Professor of Political Science, Houston-Tillotson College, Austin, Texas and Professor of Government at The University of Texas at Austin. Dr. Ihonvbere has an extensive publication history including numerous books, chapters, and over 70 refereed academic papers published to date. As a political scientist he obtained his BA in History and Political Science from the University of Ife, MA in International Affairs from The Norman Paterson School of International Affairs, Carleton University, Ottawa, Canada and PhD in Political Science from the University of Toronto, Canada. Ana Carolina Lorena is Advisor for International Affairs at the Under Secretariat for Federative Affairs of the Presidency of the Republic of Brazil, working in the area of decentralized cooperation and institutional relations. She has been with the Brazilian public service since 2004, performing a number of senior roles, including advisor for international affairs at the Ministry of Science and Technology and International Advisor to the Minister of Health in the area of regional integration of Mercosur and UNASUR. 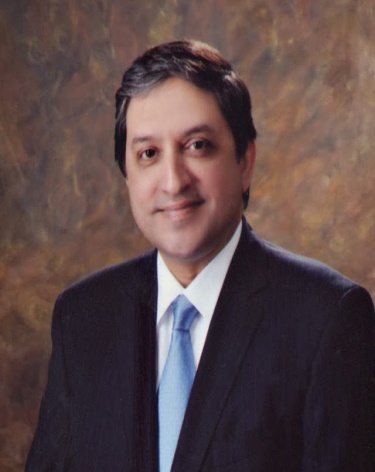 Saleem Mandviwalla was appointed as Chairman, Board of Investment with the status of Minister of State in 2008, where he liberalized the country’s regulatory environment to facilitate FDI and introduced the idea of establishment of Special Economic Zones (SEZs) in Pakistan.In 2012, he was elected as Member of the Senate of Pakistan from Sindh and thereafter appointed as Federal Minister for Finance in 2013. He was re-elected on the general seat as Senator in 2015 for the next six years and soon after that he also remained as Chairman, Standing Committee on Finance, Revenue and Economic Affairs from 2015 to 2018. In the same year, he was appointed as non-statutory Member of National Finance Commission, representing Government of Sindh and was also appointed as Member of the Board of Institute of Business Administration, Karachi in 2015. Presently, Saleem Mandviwalla is serving as the twelfth Deputy Chairman of Senate of Islamic Republic of Pakistan, elected on 12th March 2018. Roger Wilkins is former Secretary of the Attorney-General’s Department, a position he has held since September 2008. Prior to that, he was head of the Government and Public Sector Group Australia and New Zealand with Citi and was Citi’s global public sector leader on climate change from 2006-2008. From 1992-2006, Mr. Wilkins was the director-General of The Cabinet Office in New South Wales where he played a leading role in areas of reform in administration and law, corporatization and micro-economic entities. Prior to that, he held an academic position at Sydney University Law School. The Honourable Irwin Cotler, P.C. is the Founder and Chair of the Raoul Wallenberg Centre for Human Rights, an Emeritus Professor of Law at McGill University, former Member of Parliament, former Minister of Justice and Attorney General of Canada, and an international human rights lawyer. Cotler also made the pursuit of international justice a government priority, including heading the Canadian delegation to the Stockholm Conference on the Prevention and Combatting of Genocide; affirming the Responsibility to Protect Doctrine as a centerpiece of Canadian policy for the prevention and combating of mass atrocity; initiated the first-ever prosecution under the War Crimes and Crimes Against Humanity Act; and intervened in the Mugesera case, which established the important principle and precedent that the very incitement to genocide constitutes the crime whether or not acts of genocide follow. He is the recipient of eleven honorary doctorates, where he has been recognized as “a scholar and advocate of international stature” (as cited in his various honorary doctorates). He has been named an Officer of the Order of Canada, Canada’s highest civilian award and is the recipient also of the Queen Elizabeth II Diamond Jubilee Medal.